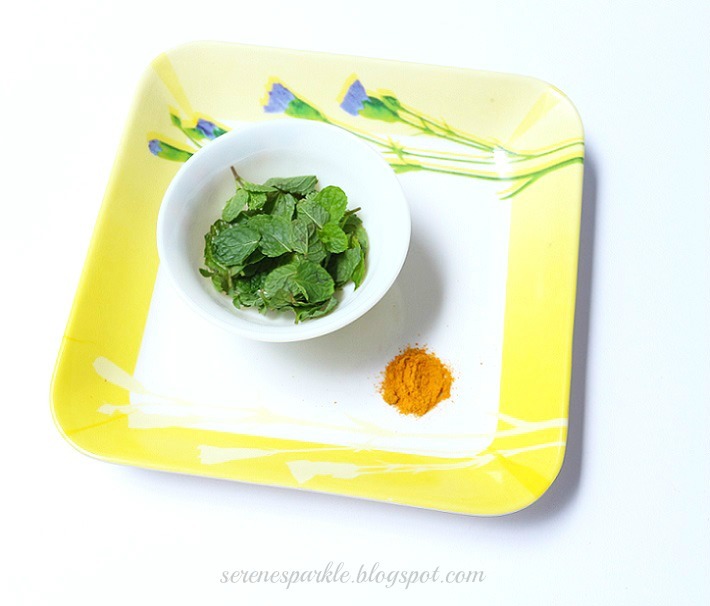 Ingredients : Mint leaves, Pinch of turmeric, Warm water. Grind mint and add a pinch of turmeric. First, rinse your face with warm water and then apply this face pack. Keep it on your face for 15 mins and then rinse with cold water. This is a very cooling/soothing mask. Also, mint is gonna make you feel refresh. Ingredients : 50 gms split red lentil, water, raw milk and almond oil. Soak split red lentils in water overnight. Next day grind them and mix milk and almond oil to make the mask. Keep it on for 20 mins and then rinse. Along with soothing the skin, this mask will also make your skin look younger. Ingredients : Tomato pulp and honey. 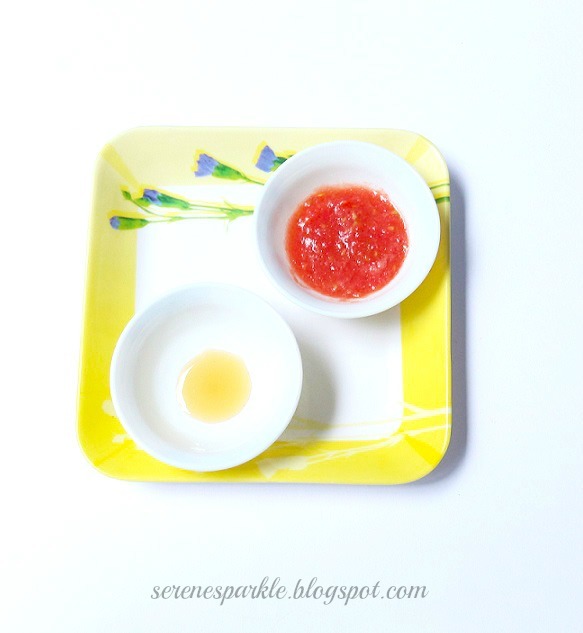 Mix 1/2 tsp of honey with one small tomato pulp. Keep this mask on your face for 20 mins and then rinse with cold water. This mask is very good for oily skin. It removes tan and gives a healthy glow to your skin. 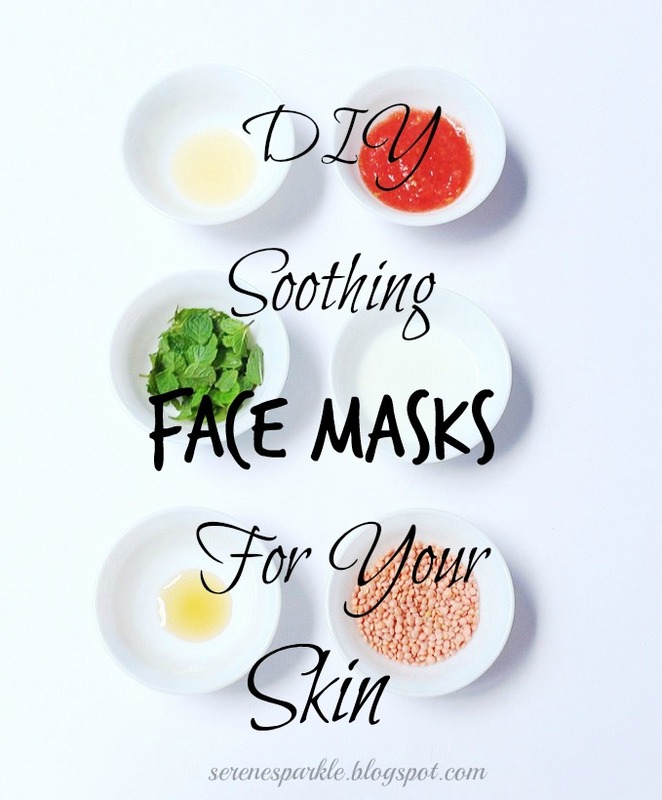 I hope you'll find these soothing DIYs home remedies beneficial for your skin. Do let me know your experience if you try any of these face masks. What do you do to reverse skin damage in summers ? Nice set of DIY... I love the tomato face mask. Nice! I'll be trying out the tomato and honey mask since I have oily skin. 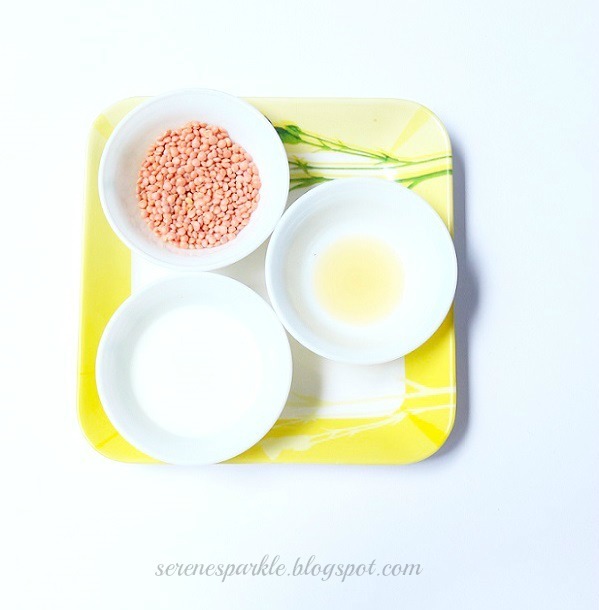 Red lentil face mask is my favorite one :) Nice post dear. Great job! Your blog is the best!!! I love your post. I love the tomato face mask. It brightens and tightes the skin really well. I have tried the red lentil and the tomato one but would love to try out the mint one.That sounds refreshing.I love trying out natural face masks . Great post.